Above, the Aron Hakodesh with the outer doors closed. 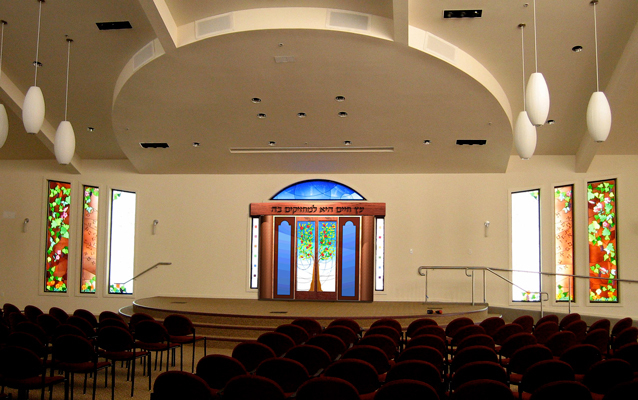 In this configuration, the sanctuary is not set up for worship. 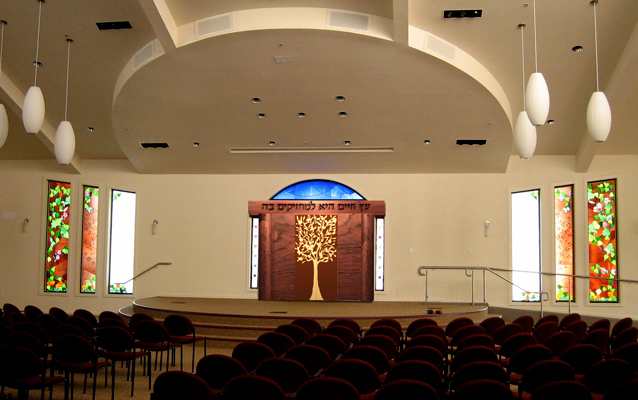 The Aron Hakodesh is hidden behind the outer doors out of respect for the Torahs, when the room is being used for a non-worship purpose. When the room is set up for worship, the outer doors swing open 180 degrees revealing their inner surfaces which have been decorated. The actual Aron doors are two sliding stained glass panels shown above.